Magnetic nail polishes are definitely not a new thing. In fact, I remember about 7 years ago picking up a couple by China Glaze and having some fun with them. The trend had died down, but with the magical workings by indie nail polish brands, we have certainly seen them come back with a vengeance! 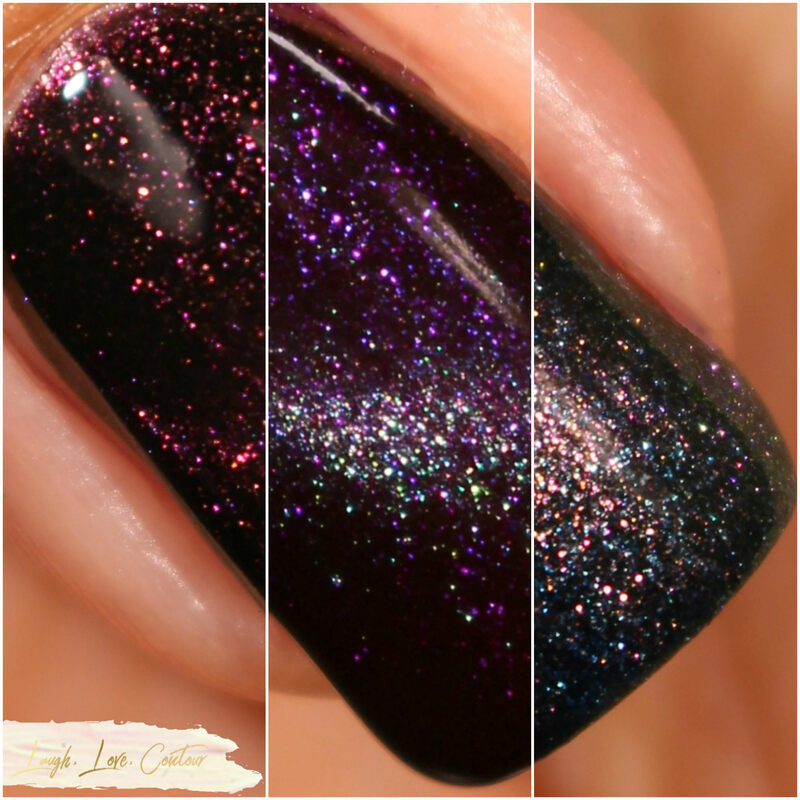 This weekend, ellagee polish will be launching their own line of multichrome magnetic nail lacquers. Aptly named the Strange Magic Collection, these shifty beauties are sure to be a favorite to decorate your digits this fall season! Let's get a closer look at each of the three shades! 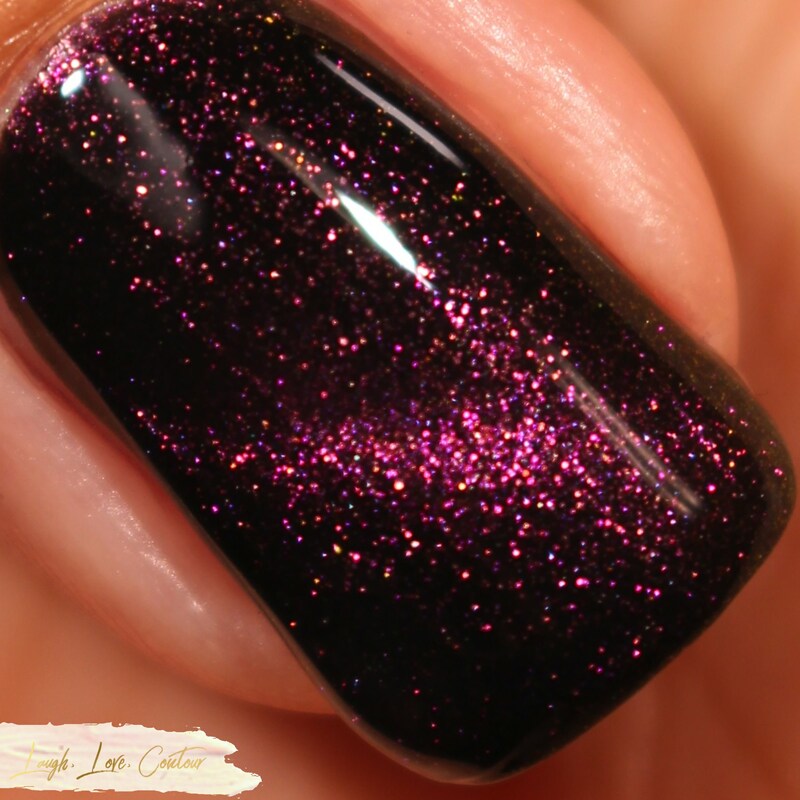 A deep purple shimmering base with flashes of pink and blurple and a violet to teal shifting magnetic effect. 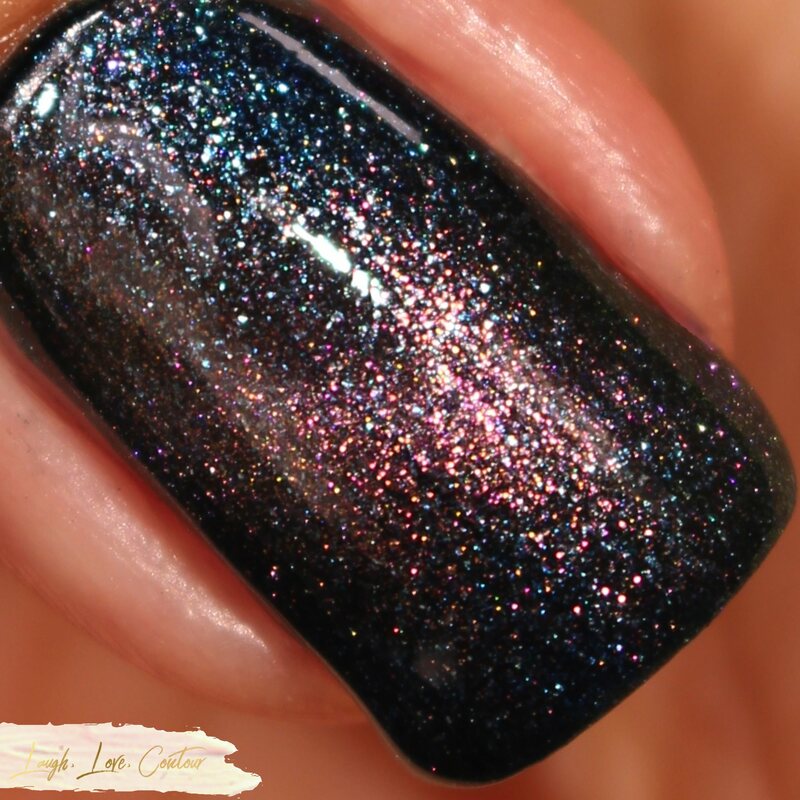 The two centered nails show Dream Weaver with the magnetic effect while the outer nails show it swatched on its own. Please pardon my little ding on my index finger. I hit my finger against the camera just as I was about to photograph, and while I could barely see it with my eyes, my camera really made it jump out in these photos. A deep burgundy base with flashes of magenta and a copper to violet shifting magnetic effect. The two centered nails show Fortune Teller with the magnetic effect while the outer nails show it swatched on its own. A deep blue grey shimmering base with flashes of silver and an olive to rose to copper shifting magnetic effect. The two centered nails show Star Gazer with the magnetic effect while the outer nails show it swatched on its own. All three of these shades applied really nicely to the nails. The formula is thicker than what you see from mainstream nail polish brands, but I still find it easy to work with. They are densely pigmented, and if you tend to paint with a heavier hand, you likely will find you only need a single coat for opacity. When it comes to using magnetic polishes, I personally prefer to use at least two coats- the base to cover any visible nail line, and a thicker second coat to get a nice magnetic effect. To create a magnetic effect, it is best to use a thicker second coat and hold a magnet as close as possible to the nail for about a minute. This will give it time for the tiny metal pieces to slide across the polish base matrix and then keeps them in place while the surrounding polish dries. If you do not keep a magnet in place for an extended time, the magnetic particles will start to shift back, leaving a softer, more subtle design, depending on how much is included in the specific polish, how thick of a coat you applied, and how dry the surrounding polish might be. 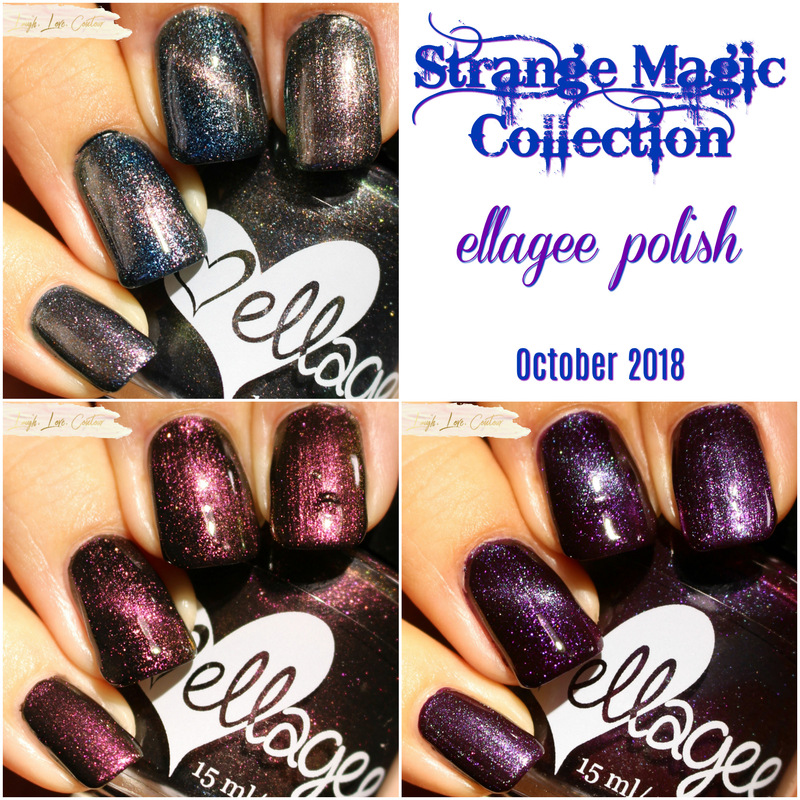 The Strange magic Collection will be launching this Saturday, October 13th both at The Indie Shop event in San Antonio and on ellagee's website. Each shade will retail individually for $13.50 or you can purchase the trio for $35. With the money saved from buying the set, why not put that towards a bottle of ellagee's Glass top coat? It's quickly become a favorite of mine when I'm doing nail art! How do you feel about the Strange Magic Collection? Do you prefer these with or without the magnetic effect? What are your favorite magnet patterns? I'd love to hear from you!